Perch is a very common fish in most cases Ikryanoye. Caviar perch healthy and nutritious because it contains large amounts of protein, lipid, folic acid, potassium and phosphorus along with omega-3 fatty acids. From the eggs of the perch , you can cook very tasty dish – iranic. Gently wash the eggs under a gentle stream of cold water below it has not collapsed. 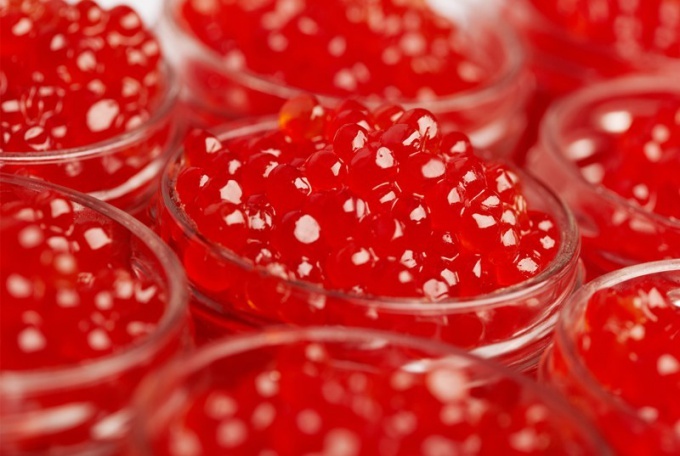 Clean caviar from the films. To do this, use a narrow and very sharp knife. Place in a clean container and sprinkle a pinch of salt. Put long for salty caviar in the fridge for 1.5 hours. Remove the eggs from the refrigerator and place it in the bowl of a blender. Within 30 seconds, beat blender, selecting the minimum speed. Add in spawn eggs, salt and pepper. Again beat with a mixer the resulting mass. Gradually pour the flour and semolina, carefully mixing the dough with a spoon. Blender you no longer need. The consistency of the batter should be like regular pancakes, even a little more liquid. Pour into the pan a little sunflower refined oil. A little rascality her. Lay the dough on the pan with a spoon, bake like regular pancakes. Ekrandaki fry the two sides until, until they become a delicious Golden color. Ikryanoye put the finished pancakes on a beautiful dish and serve. As a complement to a dish you can prepare sour cream sauce. Note that ekrandaki very high in calories, and if you watch your figure, then you can spice up this dish with sour cream is not necessary. Very carefully and gently wash the eggs. Don't spend time on it. Because the eggs can be small particles of blood veins that needs to come off necessarily. If you want to ikranite turned out not only delicious, but also very tender, then add to the dough a tablespoon of sauerkraut. Don't be surprised. Because the eggs in the frying time tends to become harder and harder. And here comes to the aid of sauerkraut, which Ikryanoye softens the dough and makes ekrandaki gentle. The taste of sauerkraut you feel, it combines very well with caviar perch.